Get strapped into one of our race prepared V8 Holdens and experience the stunning performance of these cars as you and your instructor lap the circuit at speeds you never thought possible for a car. 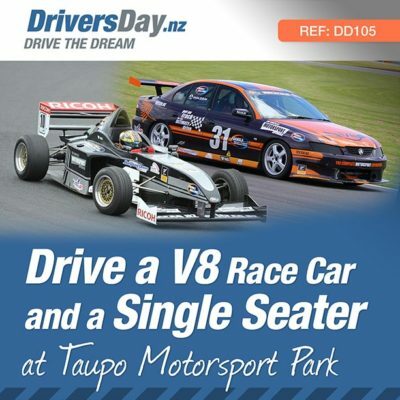 Location: Taupo Motorsport Park, 5 minutes from Taupo City. The driving experience starts by heading into a DVD briefing which runs through the theory of driving on a race track along with the safety aspects of the day. Once the briefing is done, then it’s off to the pit lane where the fun starts!! 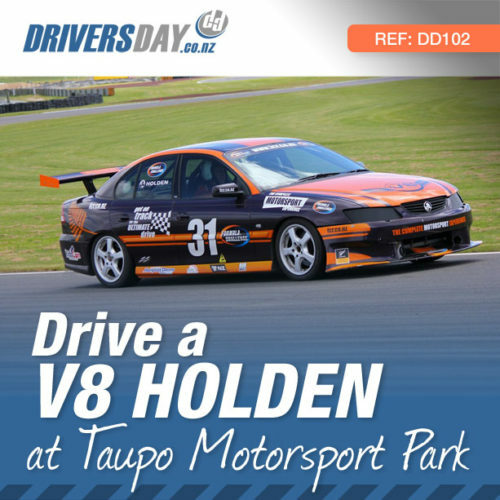 Your on-track V8 experience starts by getting suited up in our race suit and race boots then into our tuition car for an introduction lap around the circuit with one of our in-car consultants talking you around the track while you’re in the passenger seat. This will give you an idea of what to expect and what you’ve got yourself in for!!! And if you want, you can take a spectator along for the ride so they can experience the thrill of being on a racetrack. With your laps complete but your heart still racing, you head back to the pitlane where you receive a presentation pack including certificate complete with your fastest laptime as proof that it wasn’t just a dream. This experience is timed so you can see how you did compared to others on the official Leaderboard. With over 15 years of experience, this is New Zealand’s only Qualmark endorsed provider of motorsport experiences. Several practically identical vehicles helps ensure that you’ll get a drive on the day booked, as if one vehicle breaks down the other is still available. Multiple days available every month so it’s easy to have your drive on a day that suits you. 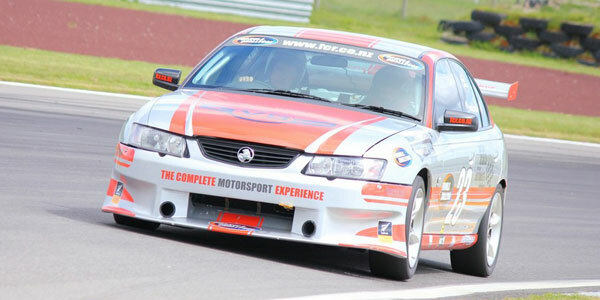 These V8 Holden Race cars are modified 5.7 litre thumping V8s producing 415 horsepower. Stripped out race interiors with full roll cage, bucket racing seats and 4 point harnesses give the complete race car experience, and a full body aero kit and massive race brakes help it stick to the track like it’s on rails. 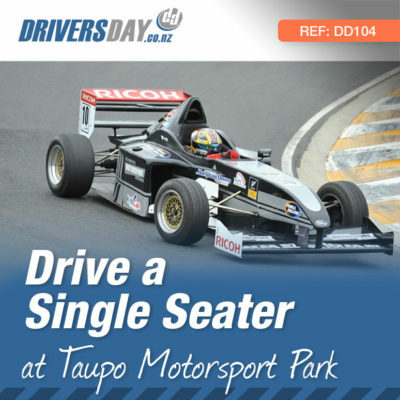 Ricoh Taupo Motorsport Park (also known as the Taupo Race Track) is a premier driving experiences and Motorsport facility in Taupo, New Zealand. 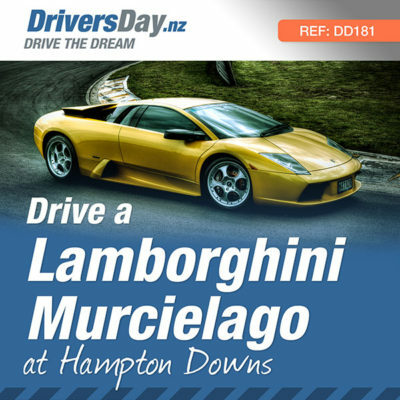 It has hosted many of the biggest Motorsport events in the country, including the A1 Grand Prix, V8 Supertourers, NZV8’s, D1NZ and Truck Racing. Is it manual or automatic gearbox? Manual. 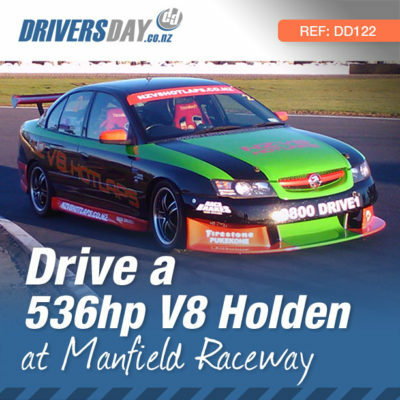 All participants must be able to competently drive a manual car. This experience operates approximately 4-8 dates per month. New dates are generally announced a few months prior the events.